When Jordanian student Siwar Salaiha is murdered on her birthday in College Park, Maryland, her consciousness survives, finding refuge in the body of a Seattle baby boy. Stuck in this speech delayed three-year old body, Siwar tries but fails to communicate with Wyatt’s parents, instead she focuses on solving the mystery behind her murder. Eventually, her consciousness goes into a dormant state after Wyatt undergoes a major medical procedure. Fast-forward twenty-two years. Wyatt is a well-adjusted young man with an affinity towards the Middle East and a fear of heights. While working on his graduate degree in Middle Eastern studies, Wyatt learns about Siwar’s death, which occurred twenty-five years ago. For reasons he can’t explain, he grows obsessed with Siwar and spends months investigating her death, which police at the time erroneously ruled as suicide. His investigation forces him to open a door he has kept shut all his life, a spiritual connection to an unknown entity that he frequently refused to acknowledge. His leads take him to Amman, Jordan where after talking to her friends and family members and through his special connection with the deceased, he discovers a clue that unravels the mystery of her death. Will Siwar get justice after all? They Called Me Wyatt is such a well-executed story. It has that underlying feel of a mystery which becomes more prominent while reading the story. I especially enjoyed the way the perspective changes between Wyatt and Siwar. The story is parted into three. Siwar’s life, Wyatt’s childhood, and Wyatt as a grown man and student. I think my favourite part was that of Wyatt’s childhood. The description of Wyatt’s family was interesting. It portrays a modern American family, but we also see some prehistoric tendencies, let’s just say I’m not a fan of Wyatt’s dad, and some futuristic tendencies. The future part of the story is another thing that is really intriguing in the book. It takes part place in the 1990s, part place in the current world (aka 2018 ish), and part place in the future, 2026. It was fun to read about certain devices that we don’t have in society yet, but which were so common in the 2026 version of society. It was also interesting to read about how the world had changed on an international basis and what context that created around the story. What I enjoyed the most while reading They Called Me Wyatt was Siwar’s reminiscing back to her time in Jordan as a child. Tynes is Jordanian-American herself so I believe her descriptions to be very authentic. Siwar’s childhood is placed in the 1990s and while I was reading I thought about how different her childhood must have been compared to my own. How she had limitations to clothing and behaviour while growing up seems strange to me. Of course, I had my restrictions as well, my parents didn’t raise a person without etiquette and manners (although it may not seem like that sometimes), but I got the impression that I was freer as a child. I didn’t have to think so much about what girls should do and shouldn’t do. I like reading and learning about these cultural differences in literature, school books have a tendency to make the most interesting topic boring, sadly. I also found it interesting to read about the differences in Jordan and the US as the story progressed. I drew lines to Norway as well and it makes you realize how different and large the world is. I love how books are able to make you think about these things. These days you often hear people talk about how small the world has become, and yes it has become smaller, but it is still pretty grand with a ton of differences all over. 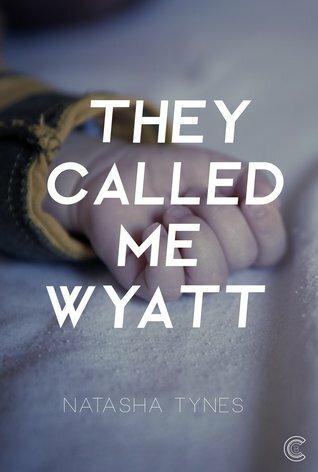 Don’t miss out on They Called Me Wyatt when it is published in April. The story will pull you in and you’ll be hooked early on. The writing is to the point and easy to follow which makes the book an even greater experience! I’m looking forward to more books from Tynes in the future!